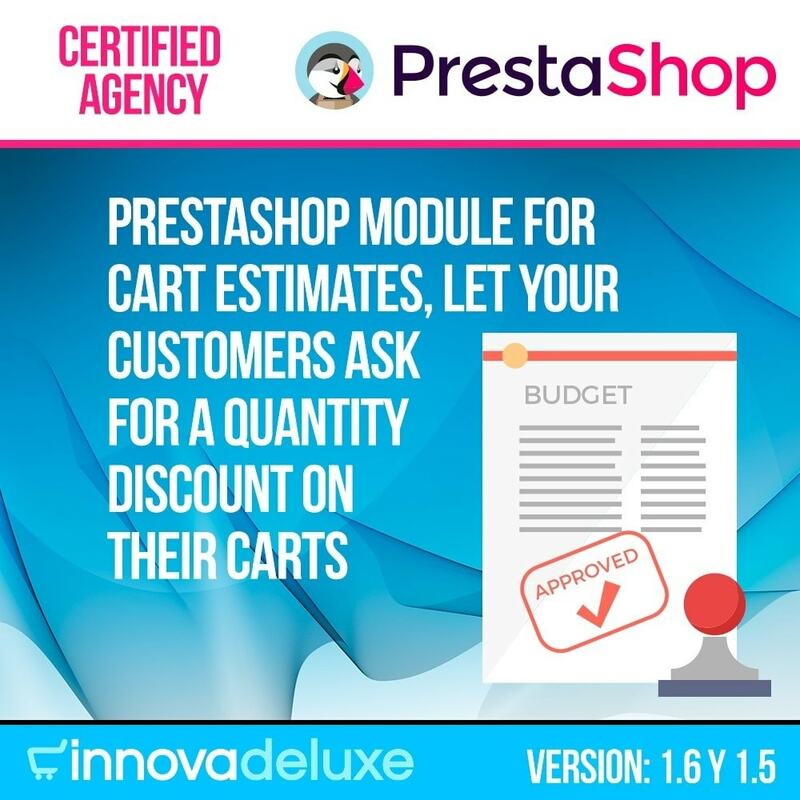 Give your potential audience an alternative price in your products at your online store with this module developped to PrestaShop. 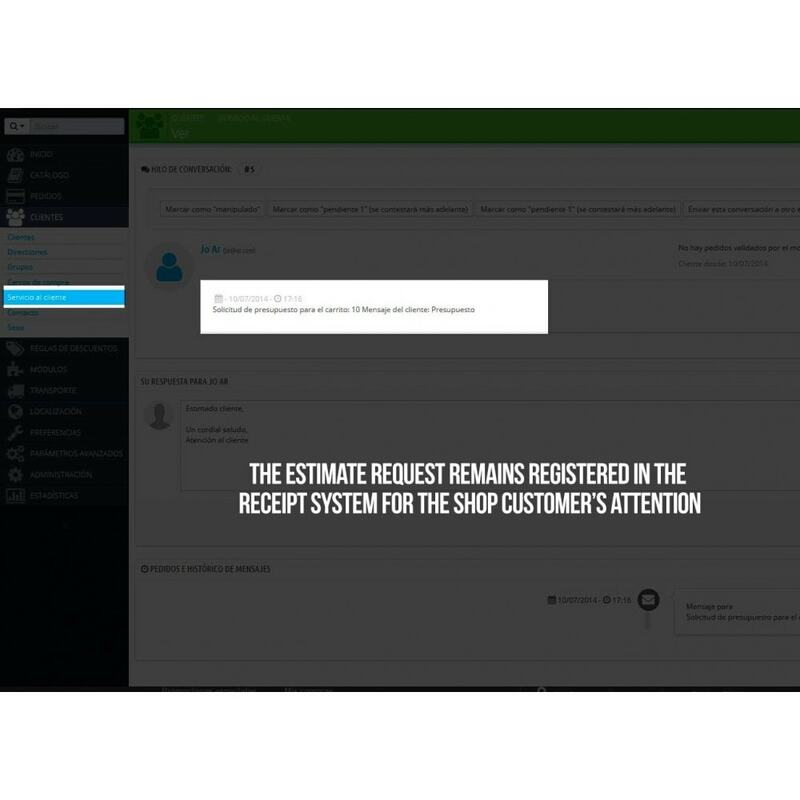 Allow your customers to request an alternative budget for its shop cart after finishing filling. 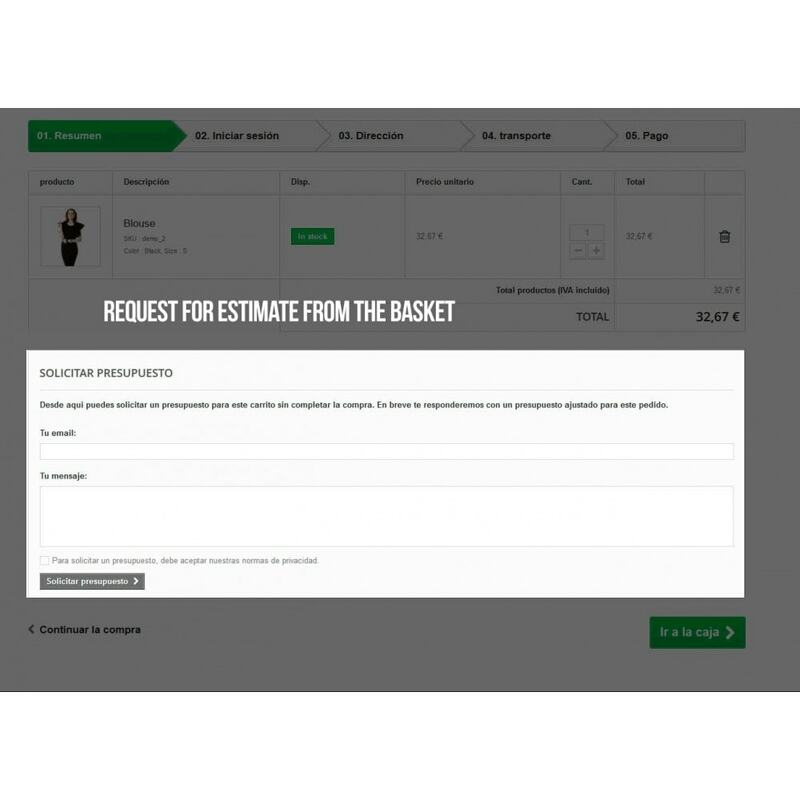 Following the purchase summary, the Deluxe Estimate module will show the user the option to request an alternative budget for procurement items. Once your clients have applied for the new budget, the merchant will receive a request for alternative price for a given shop cart. This module allows you to give a flexibility in your web site, which it will bring you the chance to get more trafic, more conversion and much more engagement. 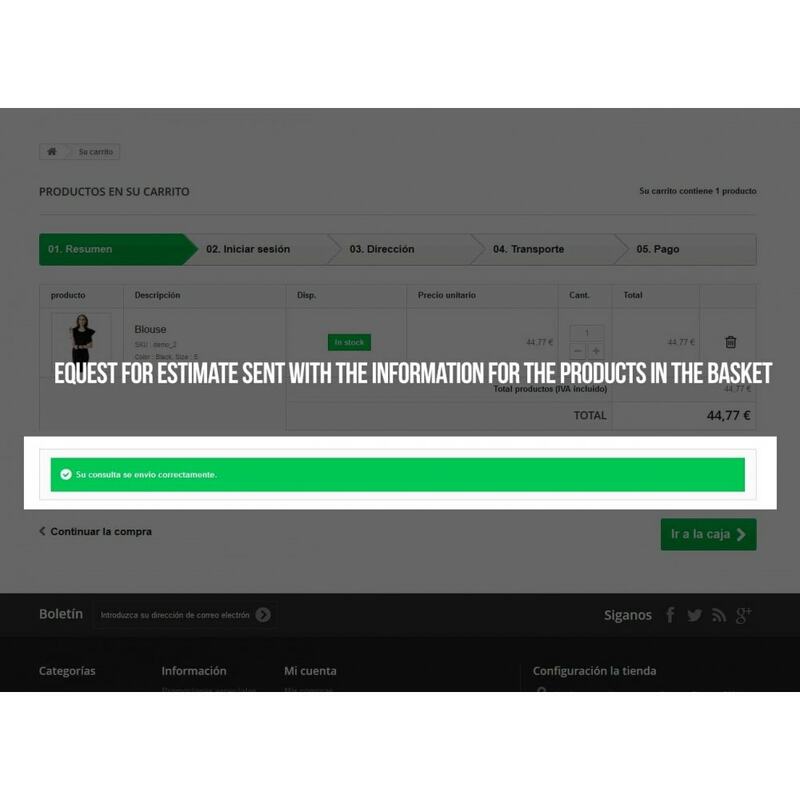 Deluxe Estimate module allows you to create full engagement with your potential audience with flexible prices, and energize the business process in your ecommerce which it will help your conversion. Make things easier to your potential customers bringing them the opportunity to get the best price with this module to get bargains. Go ahead of your competitors, getting more visibility and bigger virality.